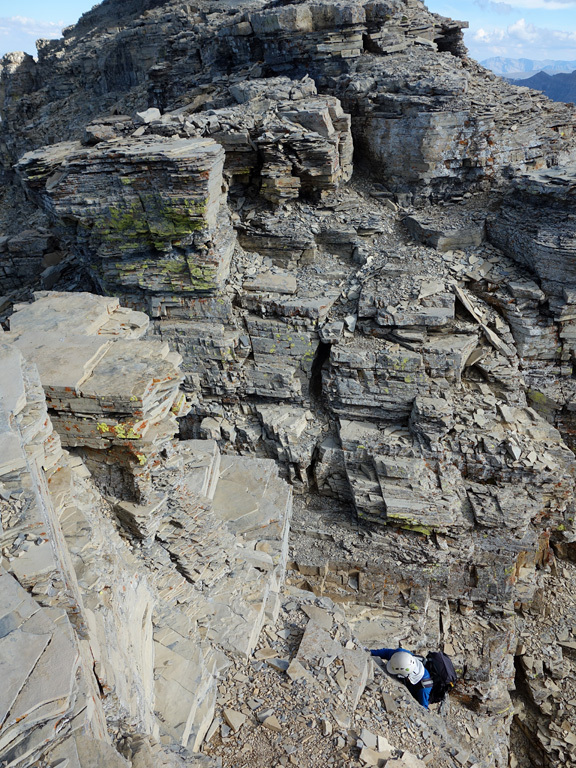 A moderately difficult scramble with some exposed and tricky notches along the summit ridge. 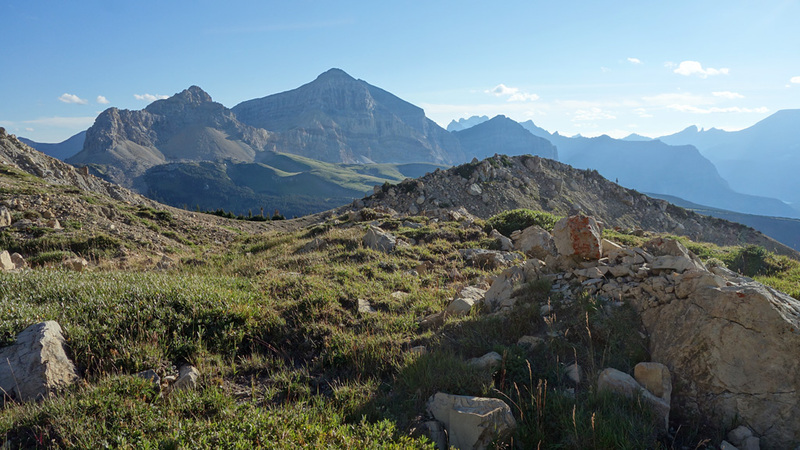 If you've ever wondered what it might look like if one were to drop a 2,700m mountain in the middle of the prairies, Chief Mountain might be the closest thing you'll find to an answer. 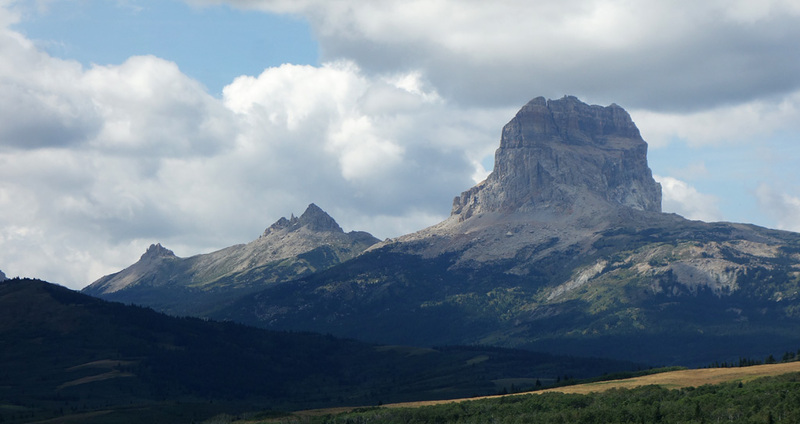 A giant brick of a mountain, with striking side aspects, a slight scree ramp at the back, and no nearby neighbours, Chief is a definite landmark that so dominates the landscape in southern Alberta that a recent government infamously featured it in a proposed license plate design for the province... until it was pointed out that Chief Mountain lies in Montana. Whoops! Political shenanigans aside, Chief Mountain is definitely a worthwhile scramble despite the required permits and border crossings involved in an ascent. 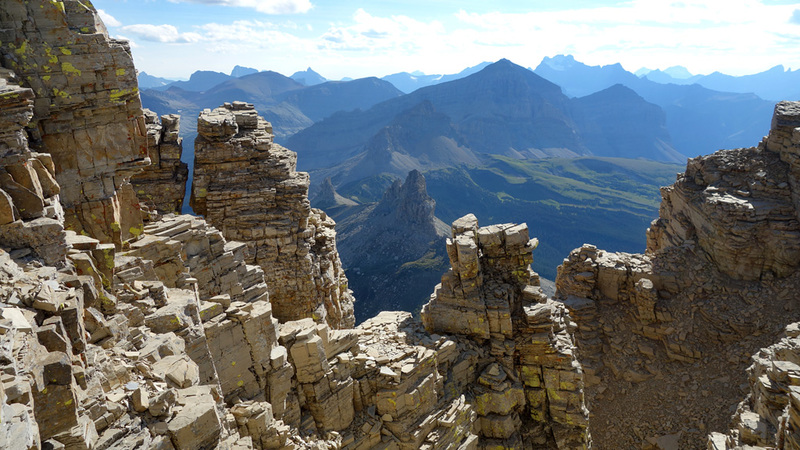 Never particularly difficult, this scramble provides excellent views into both Glacier and Waterton National Parks, some fun hands-on scrambling, and a memorable summit ridgewalk. I highly recommend it. Steven and I completed the ascent in 4.5 hours, while typical groups should expect a round trip to take about 6-8 hours. 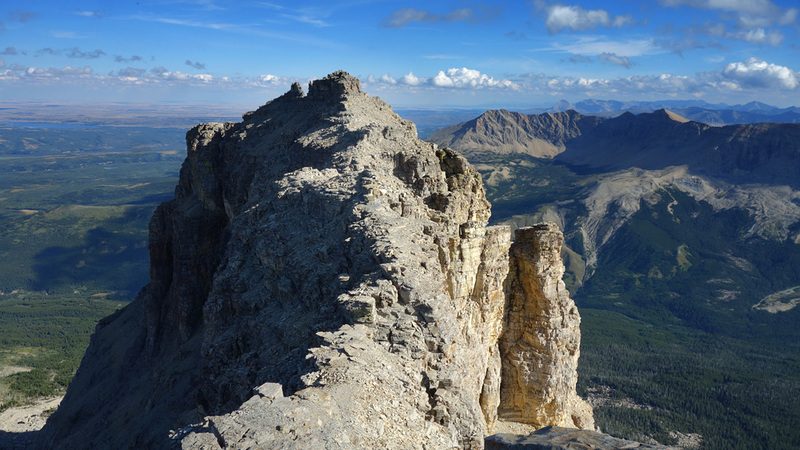 Unless you plan to improvise a route from one of Glacier National Park's trails, an ascent of Chief Mountain will require you to cross the territorial lands of the Blackfeet and a permit is required to do so with their blessing. 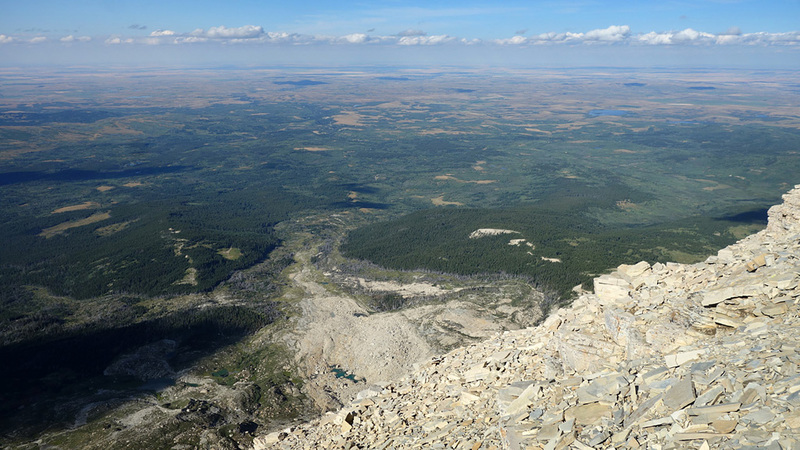 Permits to access Blackfeet territory for recreation purposes aren't an expensive proposition at $10/person, but there's a lot of outdated information online as to where one can purchase these. Rather than lurching about Babb and St. Mary, visiting the many mentioned businesses, we opted to simply ask a Park Ranger at the Visitor Centre in St. Mary. It turned out that every listed location I read about online was wrong. As of summer 2015 the only places where one can get an access permit for the area around Chief Mountain is at the Duck Lake Lodge east of Babb (note: the Google Map has the lodge on the wrong side of the road - it's actually at the end of lane on the south side of the road there) or at the gas station in East Glacier. Given that East Glacier is another 63km away from Babb and the Canadian Border, the Lodge is your best bet. Speaking of the border crossings, there are two of them nearby: one south of Cardston on Hwy 2 (Carway), and another near Waterton on Hwy 6. 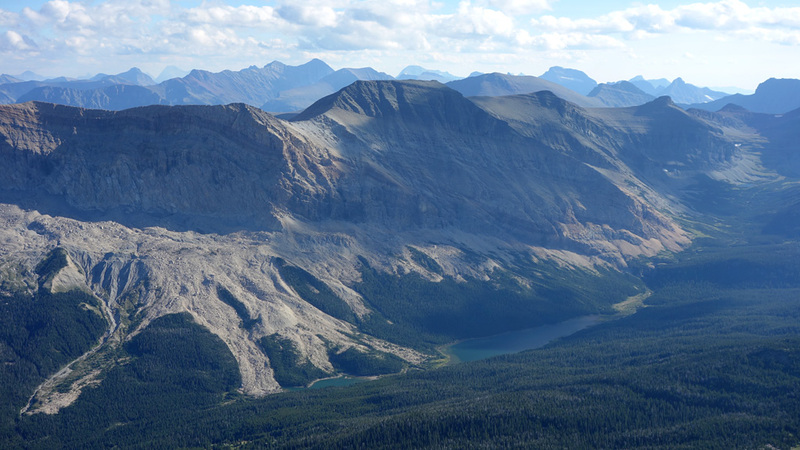 As of the time of writing the Carway border is open from 7 am to 11 pm, while Waterton is open from 7 am to 10 pm. As this can vary seasonally, you're best bet is to do a quick Google search before leaving home. Chief's huge northeastern face from the trailhead. The route contours around the right side. 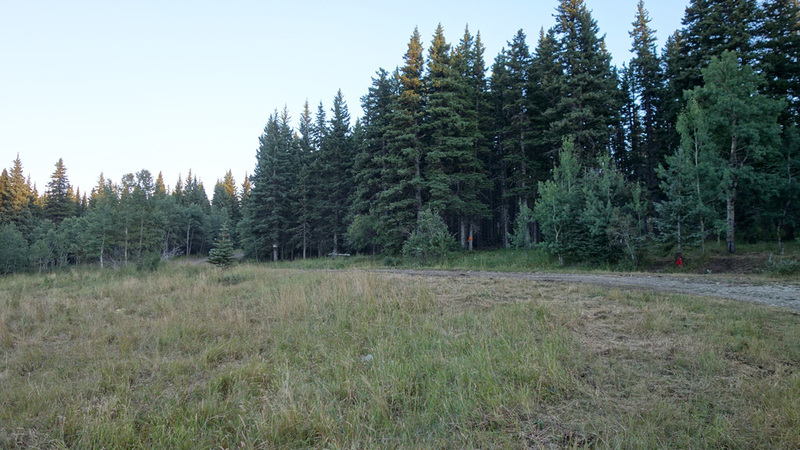 The approach trail recommended to us begins at the end of an old oil exploration road that intersects Hwy 17 roughly 6.5km southeast of the border crossing, or roughly 16km northwest of the intersection of Highways 17 and 89. 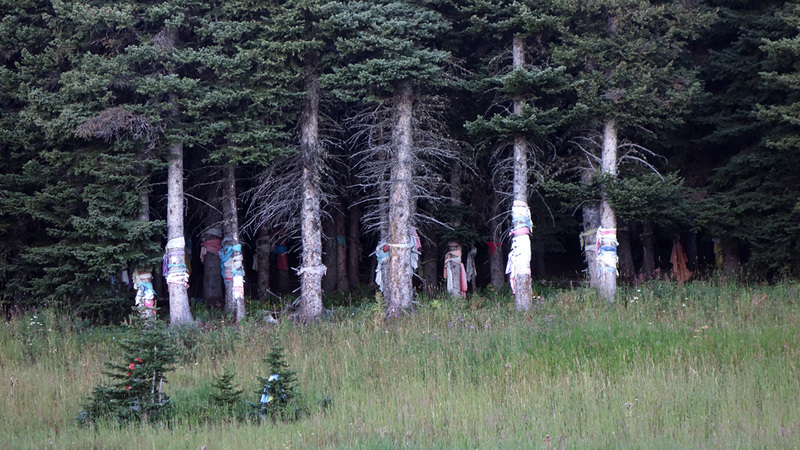 There's no signage, just a narrow dirt lane heading into the trees with a small rock cairn beside it. If you're paranoid you can download my GPS marker for the access spot. If you zoom in enough in Google Maps it actually shows the road just west of Fork Lee Creek. You need to follow this switchbacking road for about 5km to an open clearing. The road's a little rough, but the only worry with my Forester was potentially puncturing a tire. The bigger challenge was all of the cows... I could easily digress here, but you need to be careful about all the livestock grazing next to, and often on, highways and roads in this part of Montana... many of which we needed to gently herd out of our way. There's a road that continues past the clearing for a few hundred metres, but it's not worth attempting, even if you have a high-clearance 4WD vehicle. Sidenote: The U.S. Border authorities do patrol this road, so you may wish to select a different scramble in the area for your smuggling activities. From the parking area in the clearing follow the dirt road up the hill to the climber's right (west) for a few hundred metres and you'll find a well-defined trail leading away at its end on the left. This trail follows the top of the ridge towards the northern corner of Chief Mountain, popping in-and-out of forest as it goes. 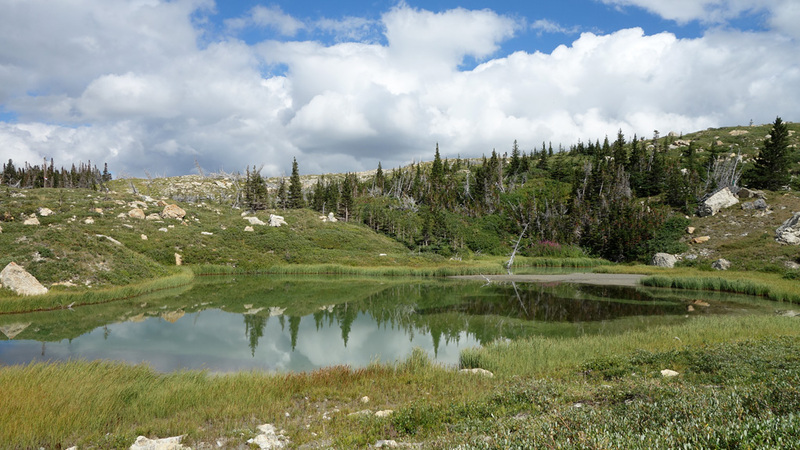 You'll eventually reach a pair of tarns at what looks like the beginning of a large moraine area, but is, in fact, a massive debris field that was created when a large section of Chief Mountain's northeastern flank collapsed back in the 70s. Your objective from this point is to contour around Chief's northwestern face towards its easy southwestern facing scree slopes where you ascend, and there are really two ways you can go about it. 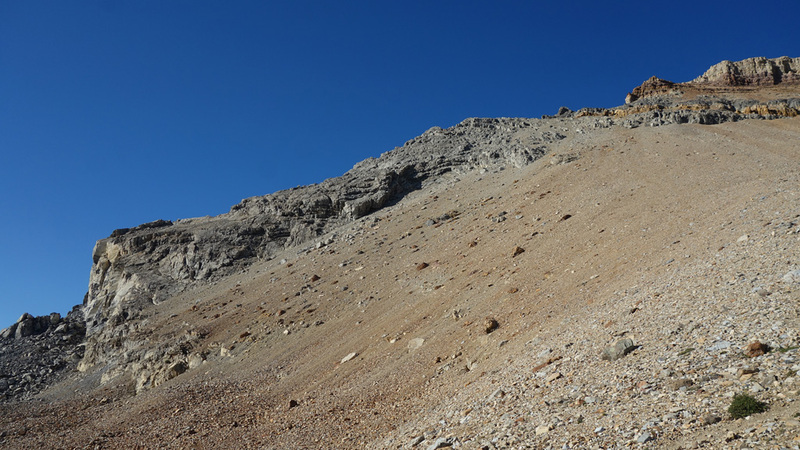 Taking the obvious trail to your left will allow you to contour closer to the mountain, saving distance, at the cost of considerable boulder hopping and elevation gain/loss. Searching a bit for the trail that's around the corner to the climber's right will help lead you along a mostly grassy route around the mountain that, in exchange for more distance travelled, is easy going. My preference is for the latter (our return route) but, as the area's pretty open, you can easily mix between the two areas as you please. Just keep in mind that there's no real benefit to gaining elevation during the circumnavigation of the mountain. 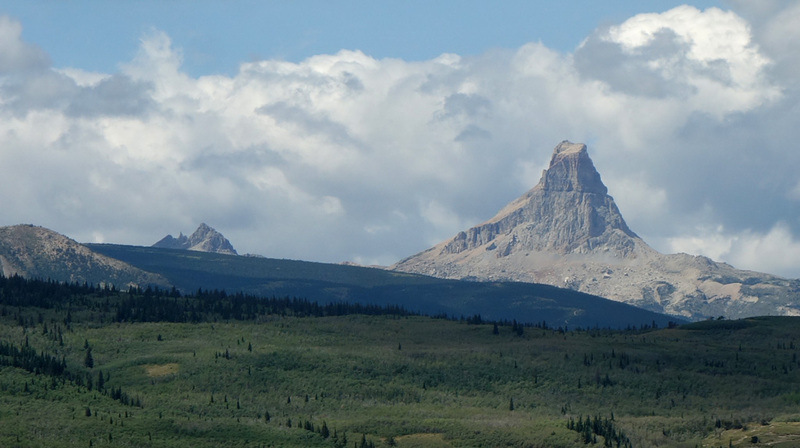 As you round the mountain you'll begin to see an awesome looking rock spire named Squaw Mountain or Ninaki, depending on the source you reference. The ridge this spire rests upon is right around the spot you'll begin ascending the mountain. Good thing about the view because this slope is rather terrible. Squaw Mountain from the traverse around Chief Mountain. Mt. Gable is visible to the right. Follow the descent route up. 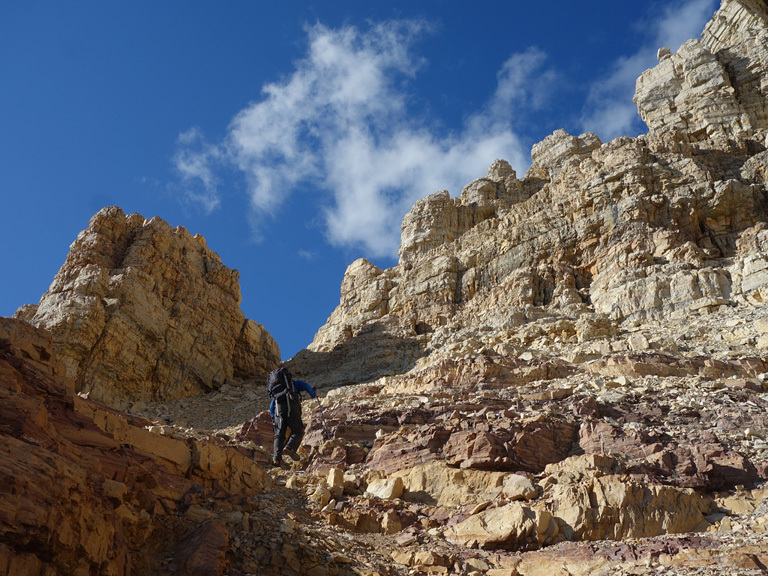 The first third is a solidly packed trail, the second third is horrible scree, and the last third is on crud covered rock steps. Stick far to the climber's left and try to link as many rock sections as possible. 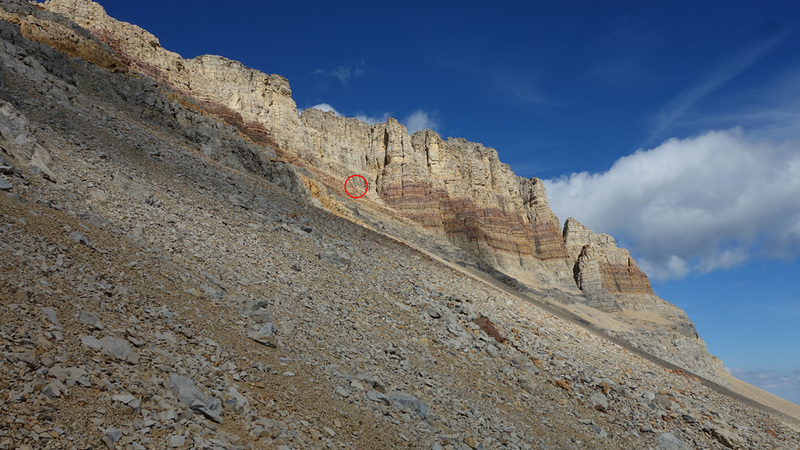 You'll be alternating between that and horrible scree for the first two-thirds and then can traverse using a series of rock steps and ledges to reach the gully. You're not likely to enjoy either method, but you'll get through it... eventually. 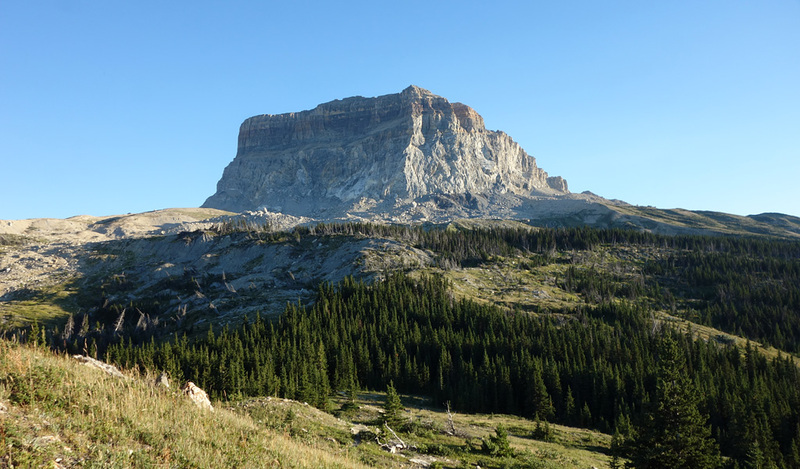 Things get much better once you reach the gully, where a very clear trail and a number of easy/fun hands-on scrambling sections will lead you around to the northwest face of the mountain. 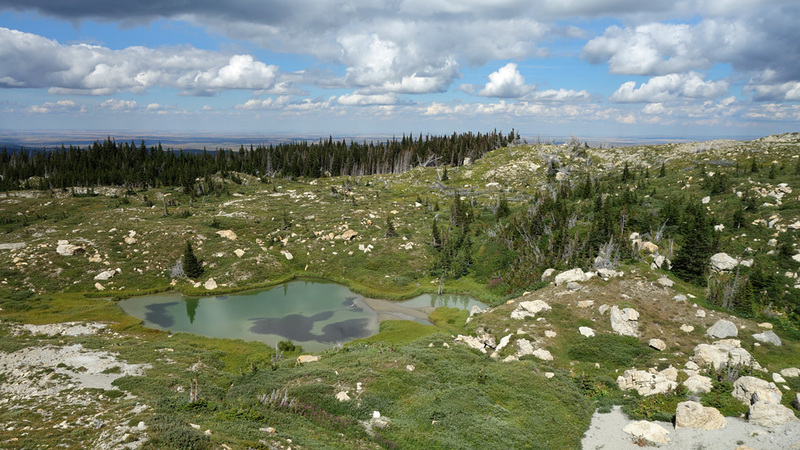 From there, a short walk to the summit ridge grants you a well-earned expansive view of the prairies. 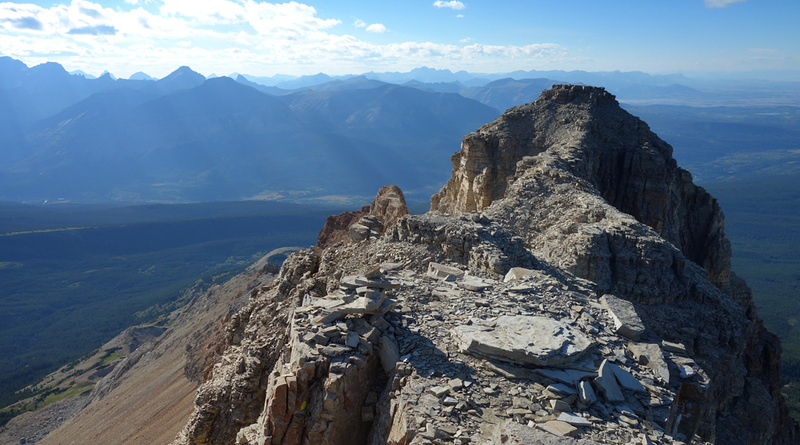 While the trip so far is technically easy, the summit ridge does introduce some moderate challenges in the form of two notches and a steep, but short, climb to the final summit block. Thankfully neither of the notches are particularly exposed as they both drop down to a broad ledge, but there's still the potential for injury if you don't exercise care. The first notch is the trickier of the two, requiring a short section of awkward downclimbing on the climber's right (those with a long reach should be fine though). A regular procession of rock steps makes escaping the notch on the other side an easy affair. The second notch can easily be descended by a series of steps on the climber's left, and from there you can return to the middle to easily regain the ridge and proceed. A lovely view of Squaw Mountain from the summit. 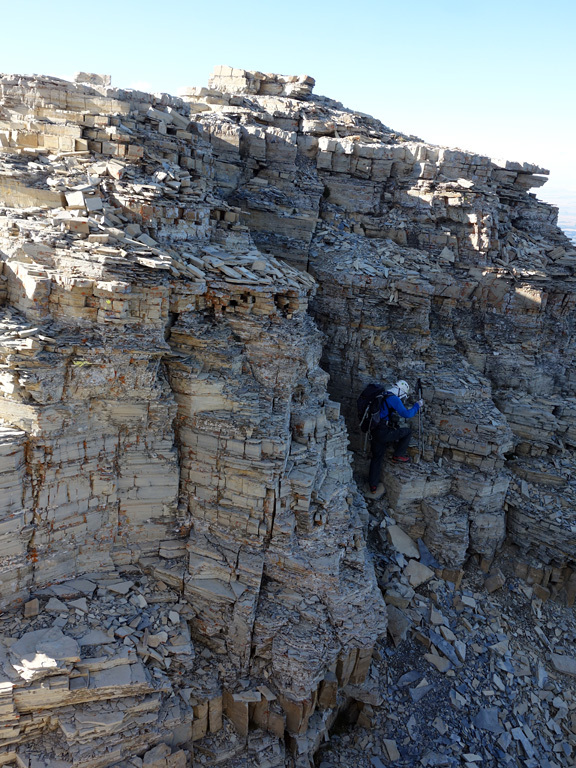 Gaining the small summit block is the last remaining challenge, with Steven and I ascending it via some moderately difficult steps around the climber's right. There might be an easier way up if you contour around the back, but we never looked. 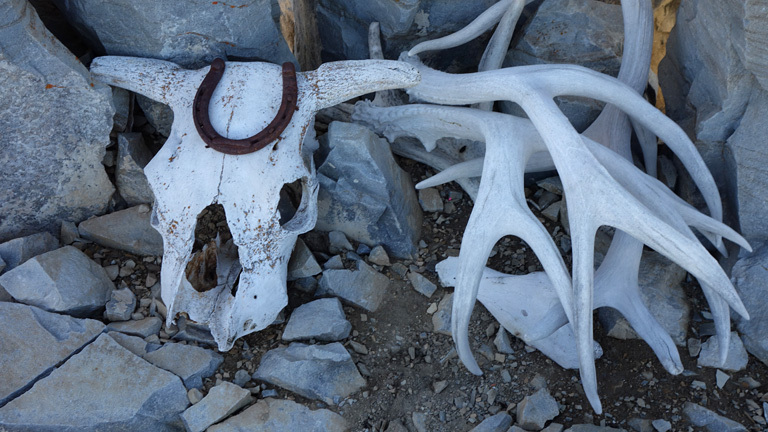 On the summit, you'll find some antlers (which have a historical reason for being there) along with a survey marker. 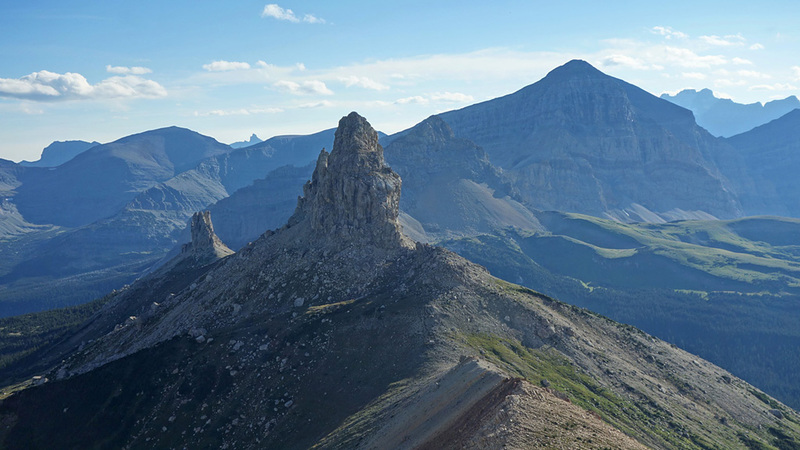 After you've had your fill of the excellent views into Glacier National Park, Waterton National Park and the open fields of Southern Alberta, the descent is simply a matter of retracing your steps. Summit: 2,565 m / 8,415ft. Summit: 1,811 m / 5,942ft.